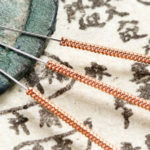 Acupuncture techniques are much more than only needling. Against common belief, needling is just a small percentage of the art of acupuncture. Diagnosis is the first step toward any healing, and is the most important part of this amazing art. Every human being is a unique individual with his/her own special and unique diagnosis. No two headaches come from the same problem. We treat every individual, every pain and every disharmony in a unique treatment plan accordingly. First, evaluation is the most important part of the treatment. To diagnose correctly, we get to know our patients. Treating and diagnosing the whole body means no physical imbalance or disease is separated from the emotional and spiritual part of human beings. We are a whole as a human, and our physical and emotional situations are completely dependent upon each other. We make sure to always diagnose the root of any problem; this is the most important tool toward any healing process. We use different modalities and techniques, depending upon the individual. Acupuncture is a therapeutic medical practice that focuses on pre-determined points of the body in need of treatment from medical issues and/or pain. This practice of inserting very fine, sterile needles within specific areas of the body or "energy pathways" and has been used for centuries becoming increasingly prominent around the world. Today, you can find acupuncture centers in just about any place including doctor facilities and any health care place of practice. Specialists are still attempting to open in riddles of Acupuncture. There’s some discussion on how it really functions. A few specialists estimate that acupuncture invigorates the nerves, which triggers the sensation of “feeling-better” hormones throughout a person’s body. Others believe that acupuncture stimulates the pituitary gland teaching the body to create a greater amount of these “feeling-better” hormones. Also a few specialists feel that acupuncture diminishes inflamed area in the body, which in turn decreases pain and inflamed areas and then improves energy and a person’s immune system. 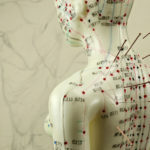 Overall, acupuncture seems to invigorate the body to deliver endorphins and other pain reducing/mood enhancing hormones. Acupuncture is known more as a holistic wellbeing treatment, utilized in an effort to support a sound personality and body. Acupuncture can possibly help with a wide assortment of issues like irritation and pain plus it can assist with a large range of health conditions. 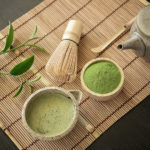 Applying acupuncture for weight loss is not going to magically help you to lose weight but it can bolster you through the weight reduction process. When you use acupuncture for weight loss alongside other solid changes (like exercise and a health diet), you can encounter quicker results. Acupuncture for weight loss can make a person experience a calming, relaxing effect hence doing away with the need for excessive eating brought on by increased stress, frustration or anxiety in a person’s life. In this example, acupuncture is actually assisting also in better overall health by calming a person and helping them lose weight without resorting to drugs. It is often seen that excessive weight gains are induced by an imbalance in a person’s body due to a malfunction of certain organs like the spleen. Skilled acupuncture practitioners will hone- in on specific body areas like the endocrine system and kidneys to achieve hormonal rebalance. Talk to us today about our acupuncture for weight loss by completing our quick contact form. Visit us for more information about acupuncture for weight loss in our Hempstead, Great Neck or Plainview office. Applying acupuncture for stress has the potential to unharness endorphins and alternative “feel-good” hormones within the brain, that that can relieve the feeling of stress and help your mind and body relax. If you’re inquisitive about a holistic, light approach toward stress relief, the right treatment for you may be acupuncture for stress. We have all heard about how damaging stress is to your body as well as your mental wellbeing. High levels of stress within oneself can increase your overall health risk factors like increasing normal high vital signs, causing a person to find relief within alcohol and/or drug use and can simply cause a real form of mental fatigue hindering you to perform day-to-day activities. An acupuncturist that will apply acupuncture for stress can plan out a treatment option tailored specifically for you to alleviate stress and improve your overall life through increasing the energy flow throughout your body. As a result, your body functions higher since any prior energy interruptions are eased. Our acupuncture for stress treatment uses natural ways to alleviate stress rather than having a patient rely on medications. 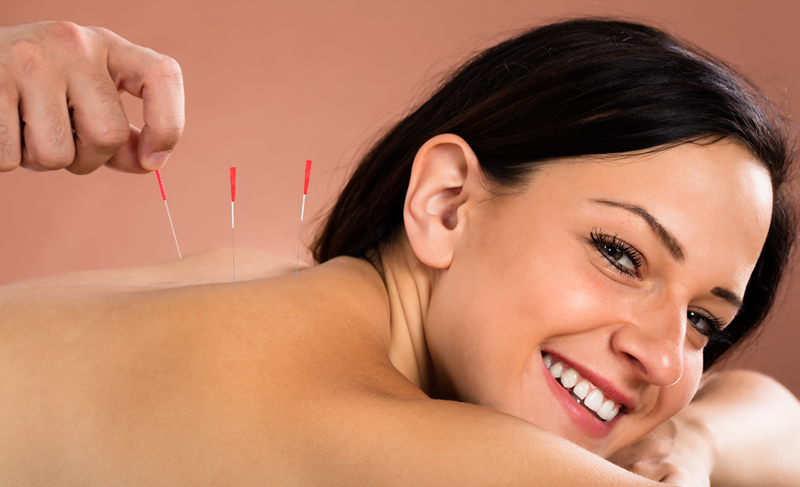 By placing needles within the optimum positions, we are able to boost energy flow. 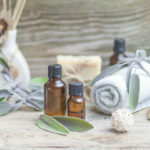 Since stress binds the flow of energy in certain areas, treatment eliminates these blockages to ease your stress, especially one’s heart rate. Patient’s minds feel lighter and notice that daily stress is lessened, normally after 1 -2 treatments. Work performance becomes higher and people tend to continue daily activities right into the evenings. Acupuncture for anxiety is turning into a well-liked treatment for anxiety by helping to reduce symptoms of tension. Applying acupuncture for anxiety has even shown promise in people that didn’t reply to other treatments like psychotherapy and even medications by directly affecting a body’s fight-or-flight response. Acupuncture has been credited as an efficient low-risk treatment choice when treating anxiety, panic attacks, and phobias. It also may be seen as an alternative choice for persons with anxiety because it hasn’t been found to worsen a person’s symptoms. 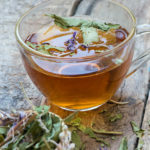 Since there are many symptoms associated with anxiety, as an acupuncturist I will begin treatment with acupuncture for anxiety by asking you which are the primary symptoms you want to treat. You normally will not receive instant gratification for anxiety although some people have reported immediate enhancements however most notice refined and gradual changes with recurrent visits. The acupuncture benefits realized through treatment benefits both your psyche and your body. It can expand the impacts of numerous medicinal medications and treatments, quickening recuperation and decrease indications. Even though large, realized acupuncture benefits are enabling one to lessen the use of medications, it is best to always double check with your doctor. Acupuncture utilizes needles, and despite the fact that they are extremely modest, they can cause a stinging, squeezing, or throbbing sensation where they are embedded. Now and again, acupuncture can prompt some dizziness after treatment or small puncturing of the skin at the site of treatment. Be that as it may, don't stress—these acupuncture side effects are insignificant and don't keep going for long. Make a point to answer your acupuncturist's inquiries precisely. 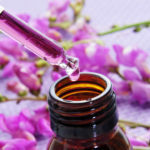 On the off chance that you have specific medical conditions like the use of blood thinners, to properly avoid any possible acupuncture side effects always speak with your general doctor before treatment. 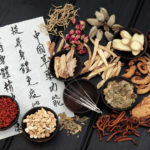 In the event that you encounter any acupuncture side effects during treatment, let your acupuncturist know immediately.